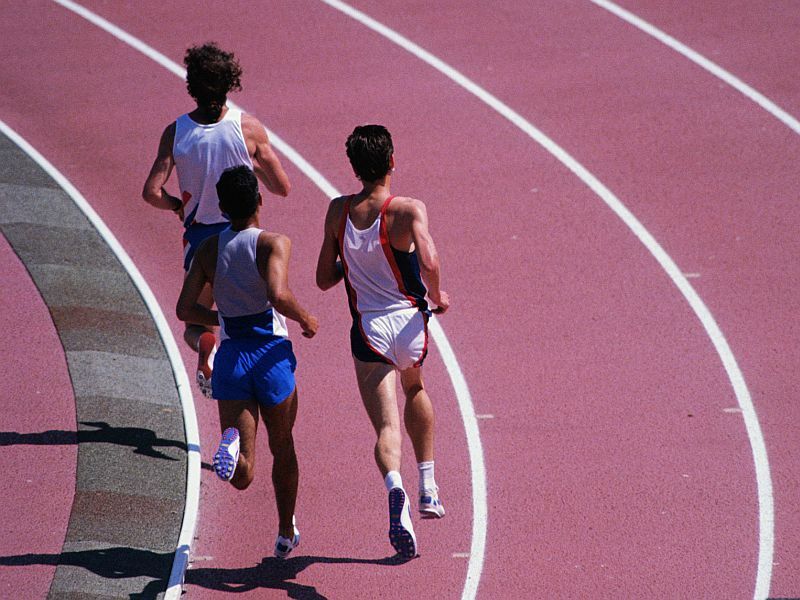 The study confirms that cardiac arrest is a rare thing among athletes younger than 45. It put the rate at about 0.76 cases per 100,000 competitive athletes each year -- at least in Ontario, Canada. But more important, researchers found that more than 80 percent of cases probably won't be caught through "pre-participation screening." Such screening is based on the premise that doctors can spot young people with underlying heart abnormalities, keep them out of sports, and thereby save lives. In Europe, screening includes electrocardiograms (ECGs) to detect electrical abnormalities in the heart, said Dr. Paul Dorian, the senior researcher on the new study. But the value of doing so has been debated for years, said Dorian, a cardiologist at St. Michael's Hospital in Toronto. For one thing, ECGs often pick up "false-positives" that can end up subjecting healthy young people to unnecessary further testing, he explained. And if a true abnormality is detected, it's not clear that banning young people from sports -- and possibly triggering a lifetime of fear -- ultimately benefits them. On top of that, ECGs are expensive, Dorian noted. In the United States, the American Heart Association (AHA) and other groups do not recommend routine ECGs. Instead, they advocate screening young athletes with a physical exam, and asking about family history and any potential red-flag symptoms -- like fainting during physical activity. The debate around the "right" approach is an important one, according to Dorian. "And we wanted to inform the debate," he said. "The good news is, these tragedies are rare," Dorian said. The "unfortunate" news, he added, is that routine screening is unlikely to prevent most. Cardiac arrest occurs when the heart stops beating normally. This is usually because of a sudden rhythm disturbance called ventricular fibrillation, where the heart's main pumping chamber starts to quiver chaotically. Without emergency treatment, cardiac arrest is fatal within minutes. For the study, Dorian's team turned to a database with all cardiac arrests treated by paramedics across a large region of Ontario. The investigators focused on cases among people aged 12 to 45 who suffered an arrest while playing a sport between 2009 and 2014. Overall, 16 competitive athletes had a cardiac arrest, as did 58 recreational athletes. The competitive sports included baseball, basketball, ice hockey, races, soccer and jujitsu. Of the 16 competitive athletes with cardiac arrest, only three had underlying heart conditions that might have been caught through screening, the researchers found. Two had hypertrophic cardiomyopathy, an inherited condition that causes the heart muscle to be abnormally thick. "This is very useful information," said Dr. Gordon Tomaselli, a professor of cardiology at Johns Hopkins University in Baltimore and a past president of the AHA. Tomaselli said the study does seem to support the position of the heart association and other U.S. groups. "We do not recommend routine ECGs, even for athletes at the professional level," said Tomaselli, who had no role in the study. Dr. Benjamin Levine is a professor of medicine and cardiology at the University of Texas Southwestern Medical Center in Dallas. He saw a positive message in the findings. "We can't screen all these cases out," Levine said. But, he stressed, coaches, trainers, athletes -- everyone -- can be prepared to jump into action when cardiac arrest does strike. Victims are much more likely to survive when bystanders immediately start CPR chest compressions, call 911 and -- whenever possible -- use a portable defibrillator to "shock" the heart back into a normal rhythm. Portable defibrillators are automated and designed for use by laypeople. Levine, who wasn't involved in the study, said the new findings underscore the importance of widespread public access to the devices -- and of cardiac arrest education in general. "We darn well better be prepared to respond when this does happen," Levine said. The study was published Nov. 15 in the New England Journal of Medicine.